For its latest temporary exhibition, “Black Models: From Géricault to Matisse,” the Musée d’Orsay has scoured Western art history for examples of people of color posing for artists and has conducted extensive research to learn more about these models and, whenever possible, their names. This is the sister exhibition to “Posing Modernity: The Black Model from Manet and Matisse to Today,” recently held at the Wallach Art Gallery in New York. The tight focus of that show on the role of black women in an evolving society and their influence on modernity in the art world seems to have been lost in the expanded version of the exhibition at the Musée d’Orsay. While the impulse behind this effort is surely laudable, the message of the Paris show is unclear (or “multidisciplinary,” as the museum puts it). Is it about the influence of black models on artists and art history? The use of painting as anti- or pro-slavery propaganda? The humanization of the models through the discovery of their identities and biographies (aren’t most models of any origin dehumanized by being treated as anonymous objects?). The rise of black artists? All of the above and more. 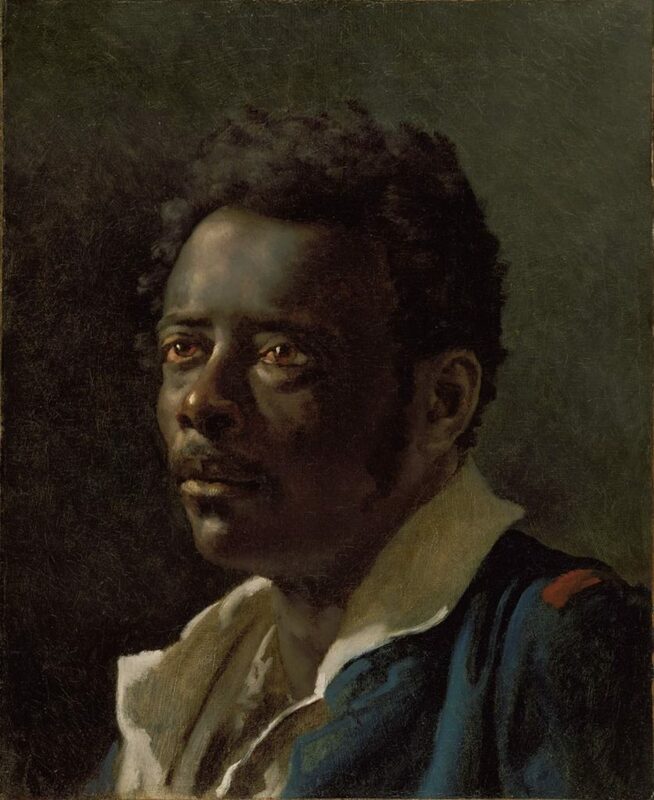 The subjects of many of these works were not models at all but were portrayed because of who they were, among them John-Baptiste Belley, a former slave in the French colony of Haiti (then Saint-Domingue), who was depicted by Anne-Louis Girodet as a member at the National Convention circa 1797. Later in the show, we come across such subjects as the clown Chocolat (the subject of a 2016 movie by Roschdy Zem), and singer and dancer Josephine Baker, who were personalities in their own right. Another celebrity, whose origins are often forgotten, looms large in the exhibition. Alexandre Dumas’ paternal grandmother, Marie-Cessette Dumas, was a freed slave from Saint-Domingue. 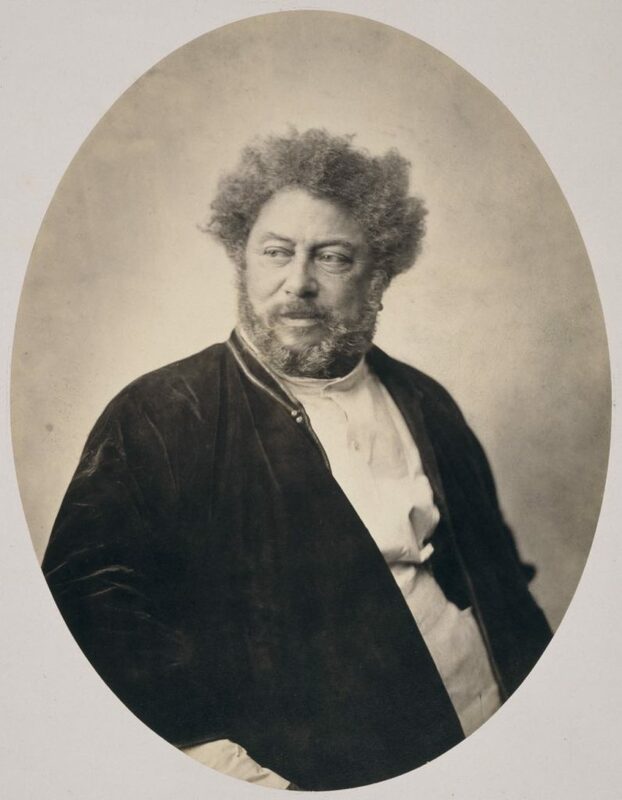 While portraits of him and his namesake son were taken by leading photographers of the day like Nadar and Gustave Le Gray, Dumas père et fils were also the subject of many frankly racist caricatures in the press. Many of the paintings tell stories that are of historical interest. One of the models whose identity was uncovered by research for the exhibition was called Madeleine. 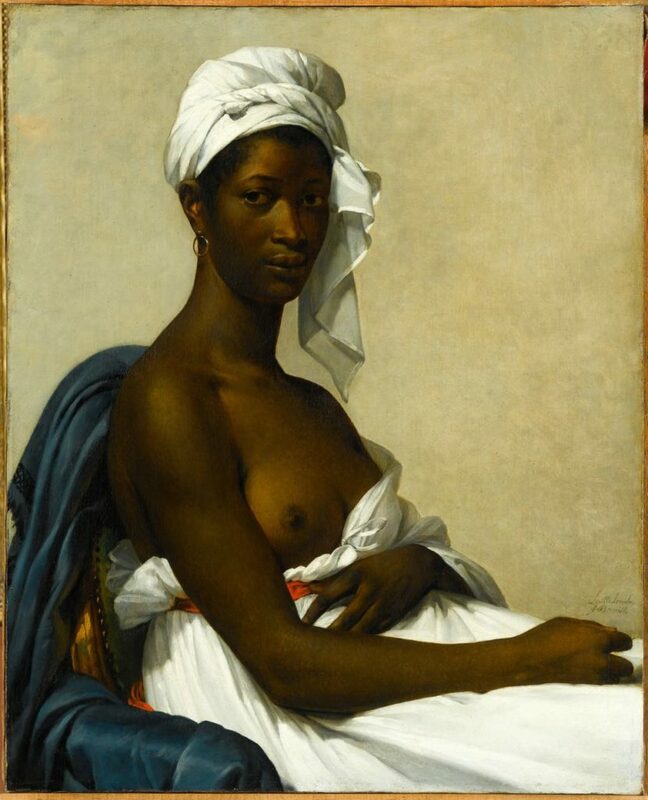 Marie-Guillemine Benoist’s 1800 portrait of this beautiful woman is lovely, but, according to the curators, her bared breast is the artist’s way of letting it be known that she was a former slave (slavery was abolished in France in 1794 after the revolution, reinstated by Napoleon in 1802 and finally completely abolished only in 1848), although other interpretations are possible. Stories like Joseph’s are less uplifting when we learn that he was also chosen to pose as the naked devil being driven off a mountaintop by Christ in a painting by Théodore Chassériau, executed following the instructions of his master, Jean-Auguste-Dominique Ingres. 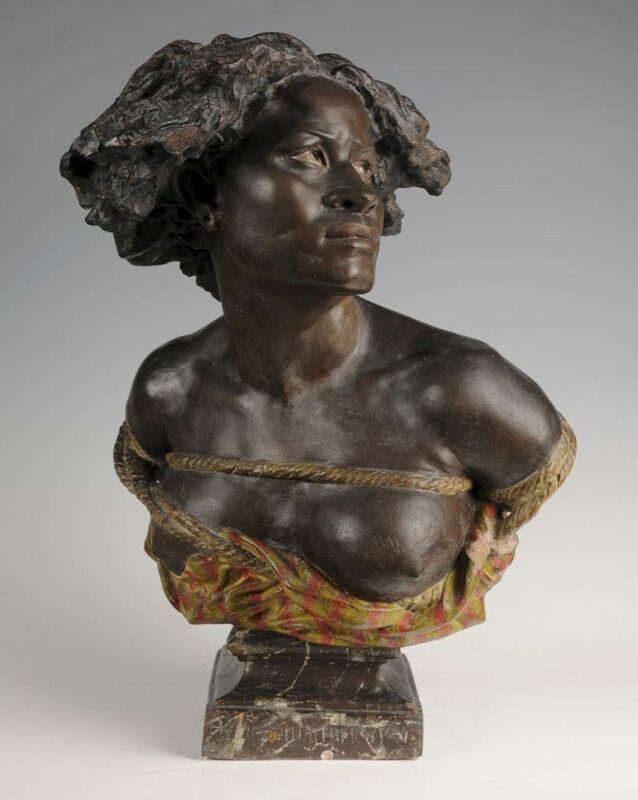 Also heartening are the many works with a clear anti-slavery message, such as Jean-Baptiste Carpeaux’s powerful sculpture “Why Born a Slave?”, a bust of a bound woman looking both fearful and defiant. While it’s not clear exactly what story is being told by “Black Models,” and it seems almost racist to group all these highly disparate people together just because of their skin color, it is still wonderfully refreshing to see so many “diverse” faces together in a leading museum for the very first time in France. Open Tuesday-Sunday, 9:30am-6pm (until 9:45pm on Thursday). Closed Monday.